Pancakes & Maple Syrup – Upon first taste the maple flavor is the dominating aspect in this protein powder. At no point did I feel like I was eating pancakes, but the only thing that resembled it was a subtle buttery undertone from a freshly baked pastry. There is an extra kick of sweetness like you would find in a baked, but I never picked up the doughy flavor I was looking for to resemble pancakes. Overall I like this as would anyone who truly enjoys a dense maple flavor, but I am still trying to find the true pancake flavor in this. Blueberry Muffin – This is the first Blueberry Muffin flavor on the market I have had that compliments each flavor perfectly. At no point did you find the blueberry or muffin aspect overpowering each other. Upon first taste, you get a refreshing blueberry flavor that pairs perfectly with the dense buttery aspect of a freshly baked muffin. Most companies will go heavy on the blueberry and light on the muffin or vice versa. Nutraboi found a way to make a happy medium in this protein powder. 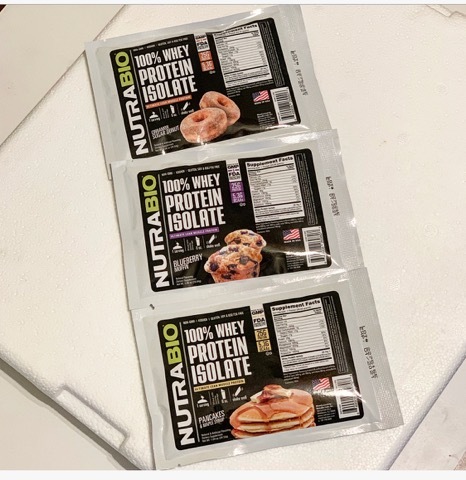 If you are looking for a true Blueberry Muffin flavor that gives you the best of both worlds Nutrabio has you covered. 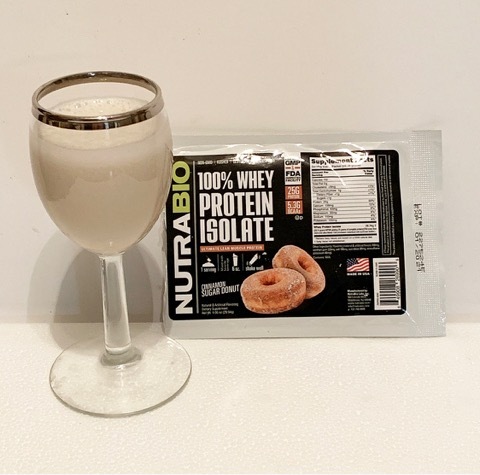 Cinnamon Sugar Donut – The Cinnamon Sugar Donut from Nutrabio comes very close to replicating a snickerdoodle in flavor. The cinnamon and sugar are both strong, but not to the point where it is overbearing or too sweet. The density of the flavor is just right, and you do get a hint of donut flavoring in the aftertaste. While the donut flavor is nowhere near as strong as you would like we have to remember this is whey isolate. It will be hard to replicate a donut flavoring in a 110-calorie whey protein powder. For anyone who likes fast food, this flavor resembles cinnamon twists from Taco Bell. Whey Isolate protein powders are very thin in nature. For each serving I used 4-6oz of liquid. Even touching the water the powder began to dissolve and mix instantly. I have never had an issue with Nutrabio when it comes to Mixability and their protein powders. This is yet another batch of flavors that will mix with ease in a shake, in yogurt, or even mixing with a spoon. 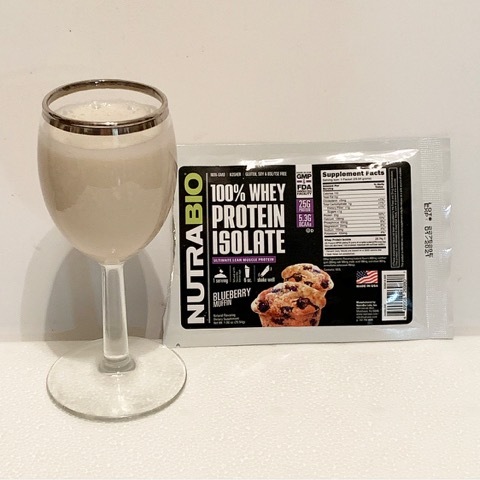 NutraBio Whey Protein Isolate is guaranteed to be the absolute cleanest protein available. Each serving contains 25 grams of complete protein derived solely from 100% Whey Protein Isolate. 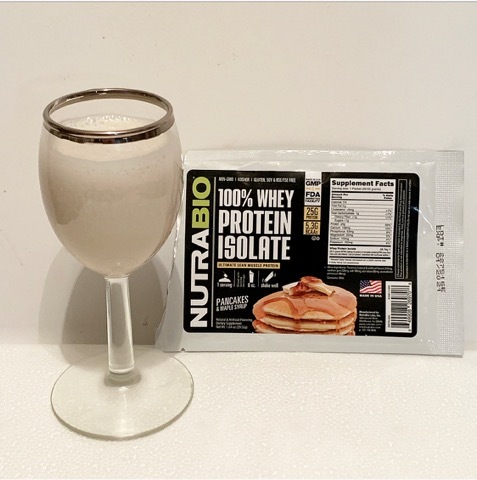 Nutrabio Whey Protein isolate contains no whey concentrate, added carbs, creamers or any other filler, just pure cross-flow ultra-filtered, non-denatured whey. If you buy a regular 2lb tub it will run you upward to $40. Upon the launch there was a bundle pack to buy all three flavors for $90 discounting them to $30 per tub. If you keep your eye out for promotions or use coupon codes you can get these for around $30-35. This is a touch better then buying them at full retail and direct from the company. Nutrabio is not sold in a ton of retailers, but you get what you pay for. You get a fully transparent label with fantastic flavoring. It is worth every penny if you ask me. My next MGN Isolate flavor? MGN Whey Protein Isolate New Flavor?